Stephen Champagne and his wife bought DRIFTWOOD, a 32′ Grand Banks, in May 2014. They put her in drydock for seven weeks and had a crew of five shipwrights working on her. They sistered 17 of her frames, replaced both chines, and 160 feet of planking. 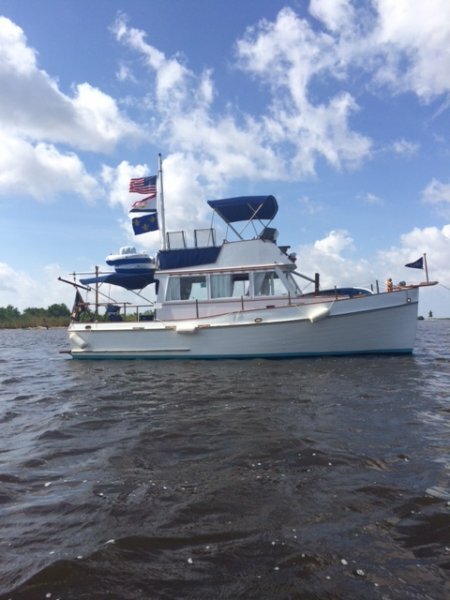 Then they spent the rest of the summer and fall cruising around the Tchefuncte River and Lake Pontchartrain. In 2015, they continued their renovation, restoring the head and galley and refinishing the brightwork. Despite all this work, they still went cruising frequently. 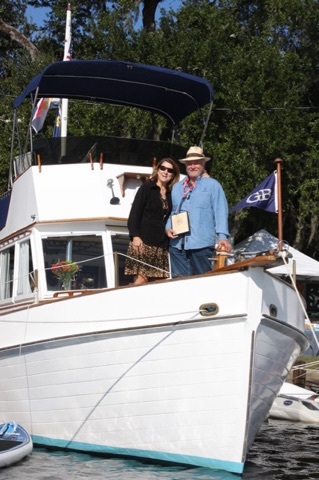 In October 2015, DRIFTWOOD won the first place in the Trawler category at the Madisonville Wooden Boat Show. 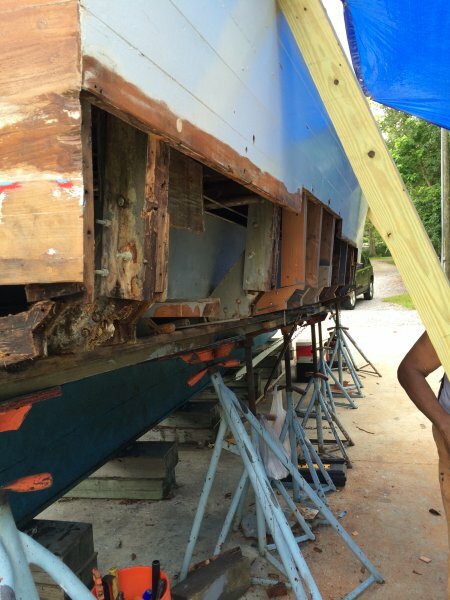 More repair in drydock after that and another relaunching in 2016.